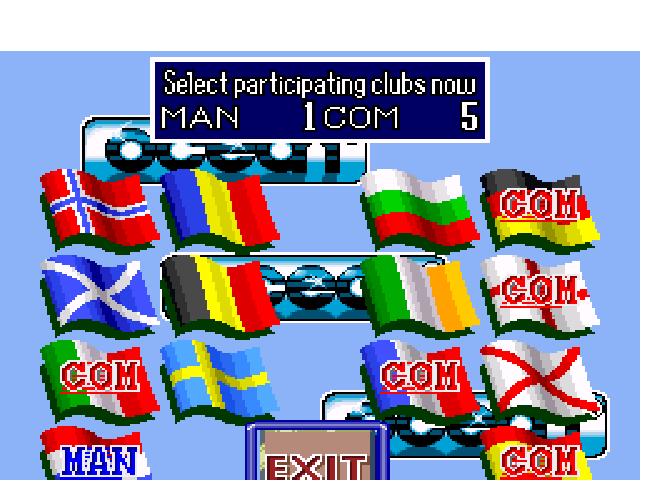 Enter into Europe. 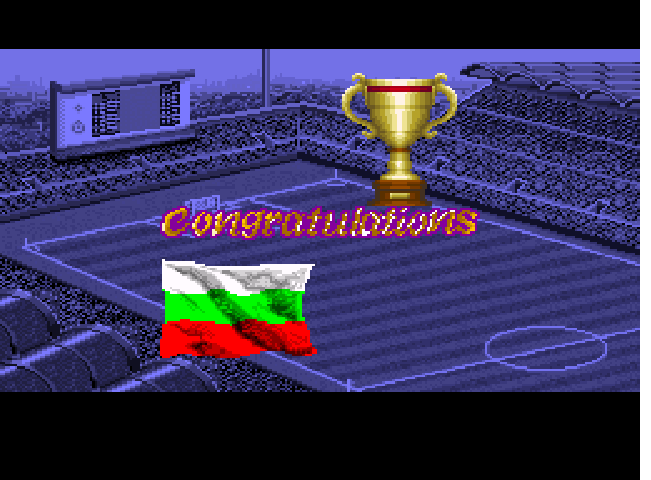 Challenge any one of the fourteen greatest European football teams and play the game how it was meant to be played. Exciting action, feverish atmosphere and the highest level of football detail from training and single matches to full blown cup and league modes are here to satisfy the urge for the irresistible game. 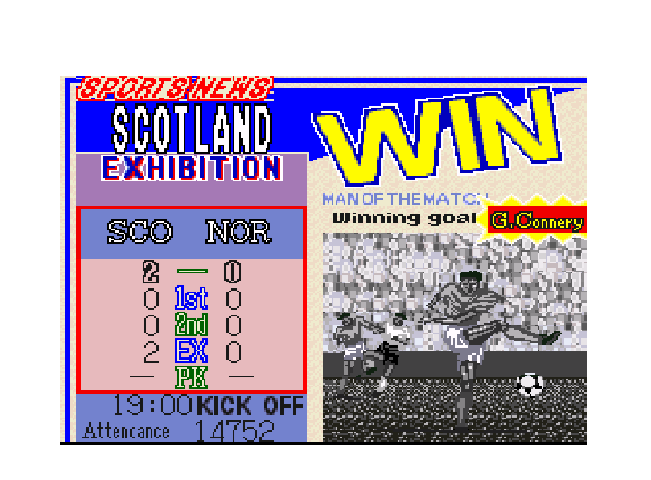 This is a football video game. 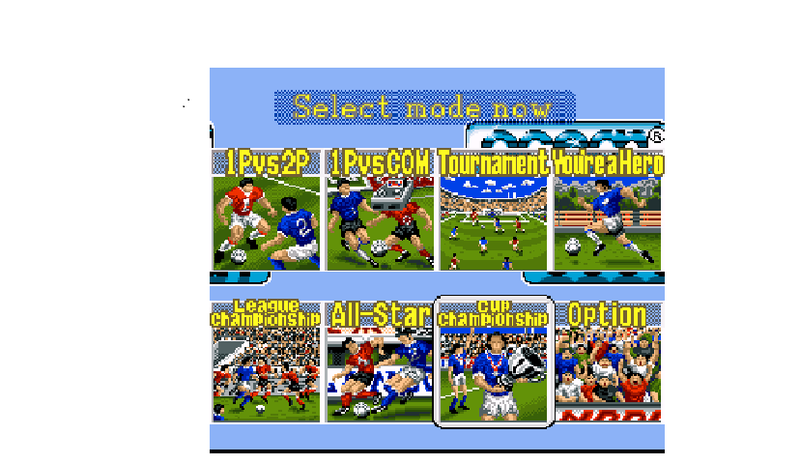 The player gets to play in the tournament, exhibition or the all-star mode. 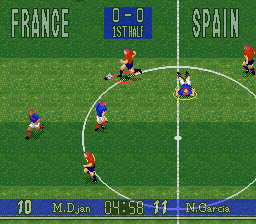 '90 Minutes - European Prime Goal' is a football/soccer game released for the Super Nintendo Entertainment System,published and released by Namco in 1995. 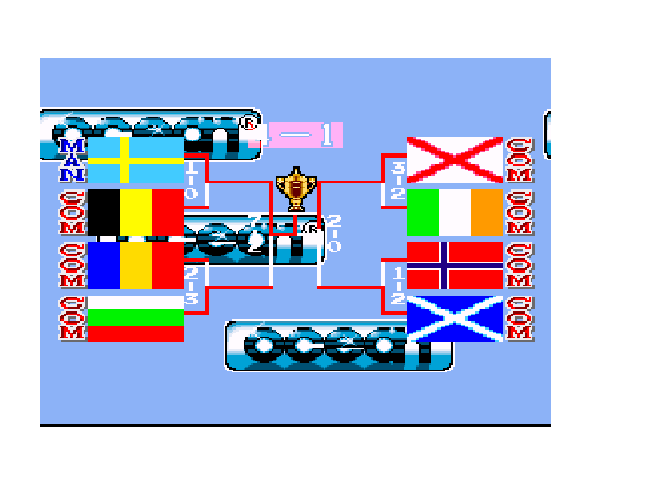 The players play in Europe and can play against 14 other teams. 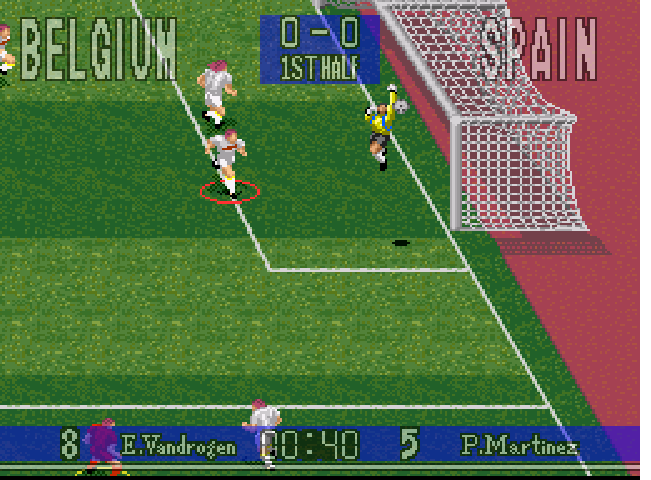 Football game to play with your friend. 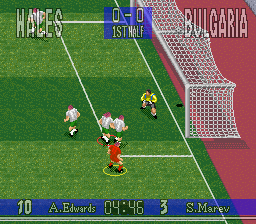 Can also play versus computer. Now you can add videos, screenshots, or other images (cover scans, disc scans, etc.) 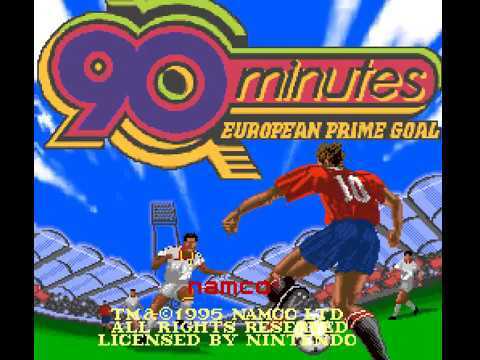 for 90 Minutes - European Prime Goal (Europe) to Emuparadise. Do it now! If you haven't noticed yet, we have a retro game of the day feature (top-right of the screen) wherein we feature a new retro title every single day! 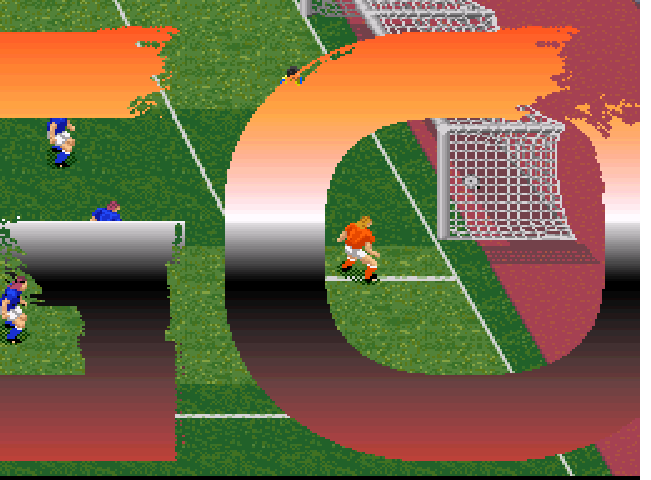 Now, you can vote for your favorite games and allow them to have their moment of glory. 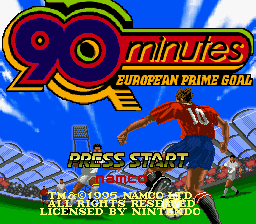 Click on the button below to nominate 90 Minutes - European Prime Goal (Europe) for Retro Game of the Day.